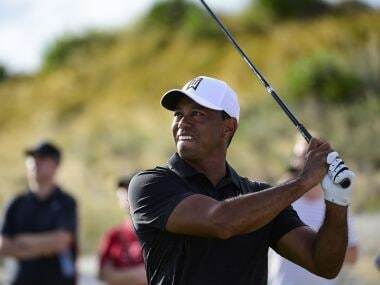 Miami: Former World No 1 Tiger Woods made a satisfying return on Thursday in his latest comeback after a 10-month layoff punctuated by back surgery and personal problems. "But it's a little different when you've got to tee it up in a tournament. I had a lot of adrenaline going there." A further birdie on the eighth -- when he drained a 20-foot putt -- put him at two under before a botched chip led to a bogey on the ninth. "I was very thankful this morning," he said. "I was in my head thanking all the people that have really helped me and gave me a chance to come back and play this round again." "There were a lot of people that were instrumental in my life — friends, outside people I've never met before, obviously my surgeon — a lot of people." "The guys have been great. They're all trying to help me — they're always texting me to say 'Hey, come on, let's go out and play,'" Woods said.